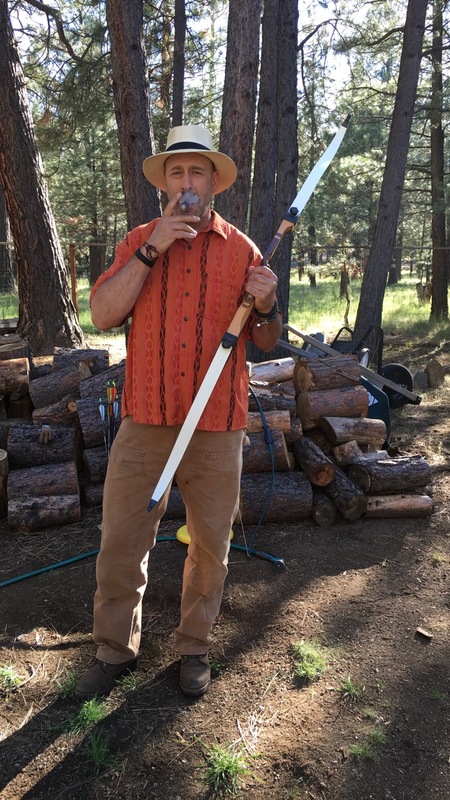 I bought my first Gurkha Ghost Cigar for the Frontier Partisans history. I bought the second and the third and the… because I like the smoke. A lot. It’s stuff that works. Of course I was drawn to the Gurkha. 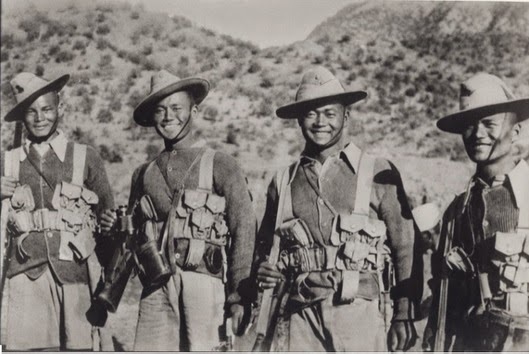 These badass highland Nepalese warriors have been recruited into the British Army since the early 19th Century. Their magnificent khukuri knives and their slouch hats have long been a symbol of ferocious — and cheerful — bravery. When my local humidor started stocking the Ghost, I started smoking ’em. Not Royalty, nor military nor leading government official and certainly not a celebrity… Just a frontier history buff with a bow and a Gurkha. The Gurkha Ghost is a sleek and alluring cigar that should make an appearance in anyone’s humidor. The Ghost blend showcases a dark Brazilian, ArapiracaMaduro wrapper, complemented by an aged Criollo 1998 Binder and carefully selected Dominican and Nicaraguan fillers. Ghost is a rich, medium bodied cigar with a multi-layered flavor profile providing sweet and earthy undertones with lingering flavors of cocoa and cinnamon. This complex bouquet strikes a balanced accord between flavor and body, as meaty and rich flavors dance on the palate delivered by cool thick flavors. As the slow burn progresses, notes of nuts, oak, and spice are accentuated by an espresso like finish. Look! It’s the Craig Rullman Gift Box! 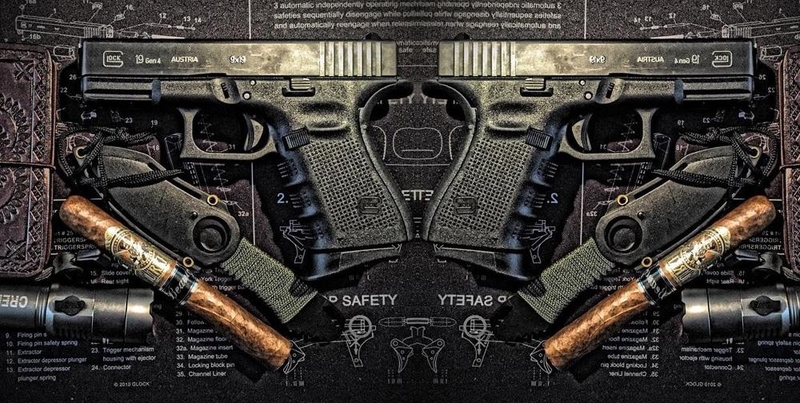 Glock, Glock, Glock…. Don’t smoke, but I’ve always been fascinated by Gurkha soldiers: the ferocity in battle, their friendliness outside of it, their unique relationship with Britain. Agreed! 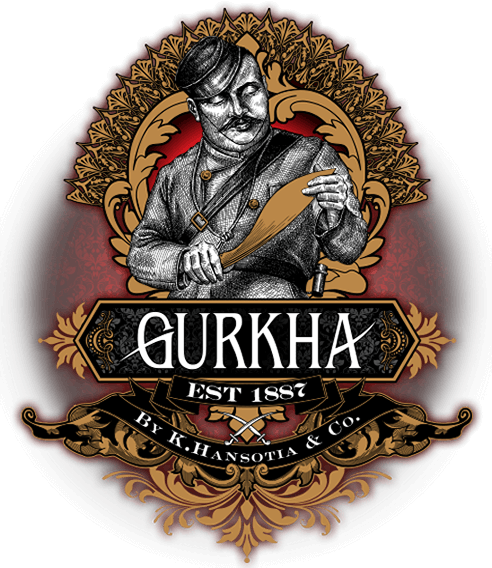 I was introduced to the Ghurka cigar brand while serving in Afghanistan and became an instant fan. They are outstanding cigars. I’m glad the Time It Never Rain is on the list. Good list of the western novels. I was glad to see Centennial included. George MacDonald Fraser in “Quartered Safe Out Here” has some fun recollections of Ghurkas in Burma in WW2. An officer of his acquaintance described his experience of leading Ghurkas as leading a troop of perfectly behaved 10 Year Olds. It is worth reading “Quartered” alone for his descriptions of Johnny Ghurka playfully shooting you with slingshots. He also described a charge where as Ghurka got closer they dropped their rifles and went in with just their Kukris. I spent a year of junior high school totally obsessed with Centennial. The book and the miniseries. Are you sayin’ that they’re better than the Rum Soaked Crooks I used to smoke in college? Those were fine cigars but I don’t think they are made any longer. I really like sweet gherkins–does that count? Damn — meant to include the in the trapline. Khukuri that is frighteningly sharp. I about took off my thumb with it just pulling it out of its sheath. Churkha cigars are mighty fine as well. I need to add a khukuri to the collection. A kid I knew in high school went on a missions trip for his church to Nepal. He came back with a khukuri. The Craig Rullman Gift Box! Glock, Glock, Glock, I want one of those gift boxes. Never smoked before in my life and I won’t start but… man this is something actually tempting, if only because it’s from the tough-as-nails Gurkhas! And if nothing else the cigar box with that picture is an awful nice decoration. I read that book you review years and years ago which is how I learn about the gurkhas. Like you I was shocked at the chaos following India’s independence. Displacement of 12-20 million people — hundreds of thousands killed.